Most of us are familiar with many of the parasites that infect animals, since we, as animals, are susceptible to many. Tonight I am sharing a few easily spotted and recognizable forms of parasitism in the plant kingdom. The photograph above was taken, as were all in this post, at Shaw Nature Reserve and shows a relentless parasite that can infect a number of prairie plant species. Dodder (Cuscuta sp.) is an obligate parasite, meaning it must find a specific living host plant to infect in order to survive and reproduce. One can see by the orange coloration, this plant does not contain chlorophyll and must pull the necessary nutrients from its host plant. The next parasite is of a form that I am just beginning to study and am finding quite interesting. Plant galls are simply growths of plant tissue, formed not by the host plant, but by other organisms. 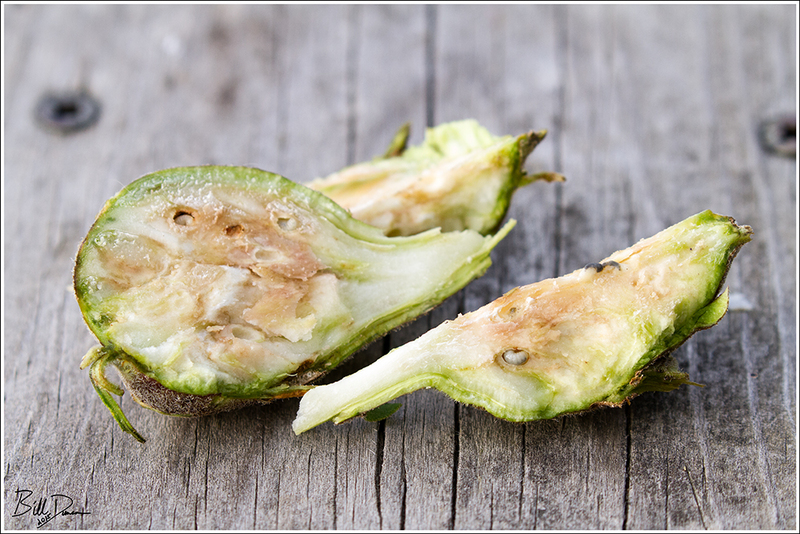 The variety of gall former as well as gall formation is astounding, to put it mildly. Insects are the primary organisms that cause gall formations, but other arthropods, fungi, bacteria and viruses form galls as well. Researchers are just beginning to learn the basics behind how these parasites cause the formation of such specific, and often beautiful galls. 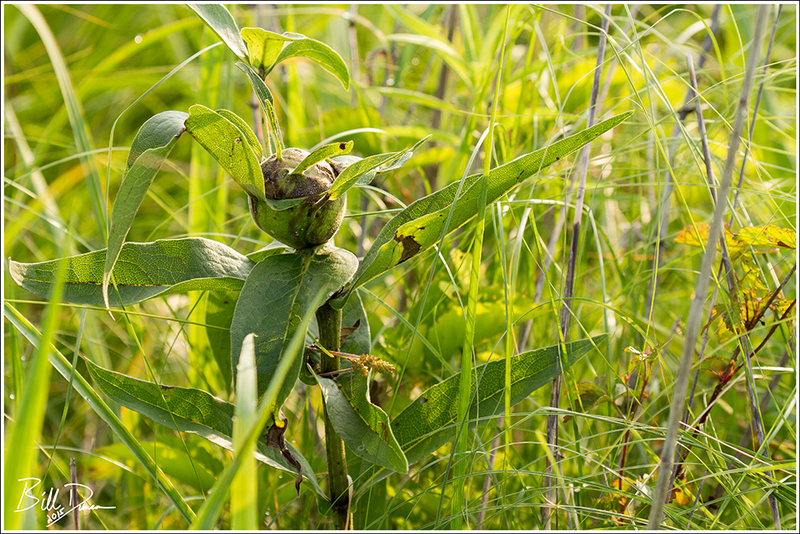 The particular gall that is found on this poor Rosinweed plant pictured above is caused by a Silphium Gall Wasp (Antistrophus sp.). One of the gloriously interesting facts about galls, much like other forms of parasitism, is the specificity most commonly found between host and gall former. Most often a gall former can infect only one species of plant, or sometimes a group of closely related plant taxa. Such is the evolutionary arms race between host and its necessarily specific parasite. In the case of so many prairie host and gall former relationships, the outcome is sad for both. 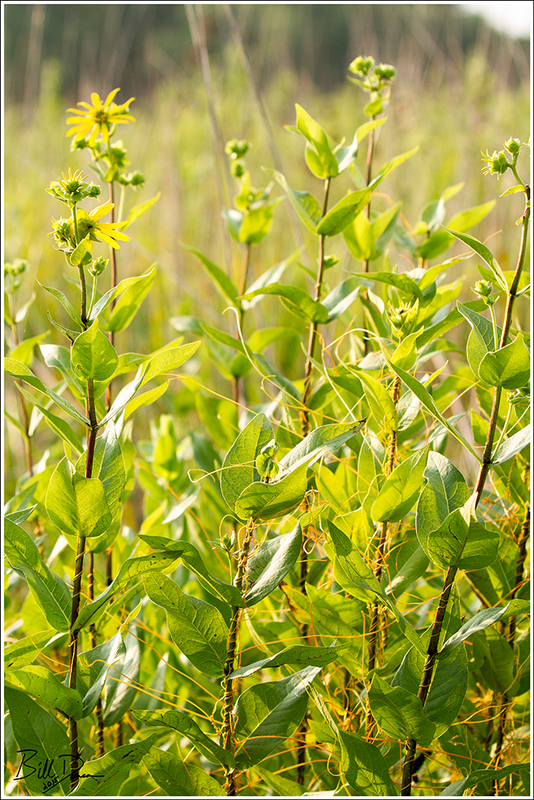 The near elimination of this habitat has caused dramatic reductions in the variety and abundance of prairie plant species, and accordingly, has had similar effects on the insects that form galls on these plants. Having observed these galls for so many years, I decided to cut one open to see the developments within. A single gall can host many developing was larvae. In this small section I was able to count no fewer than five wasp galleries, each harboring a developing wasp. The two examples of parasites presented above are just a small example of the number of parasitic species that the Silphium support. A number of other insects/arthropods use Silphium for food and shelter. Birds love the seed and use the plants’ long strong stems for perches. In many ways the Silphium are keystone species and can be considered as important to the prairies as trees are to the forests. 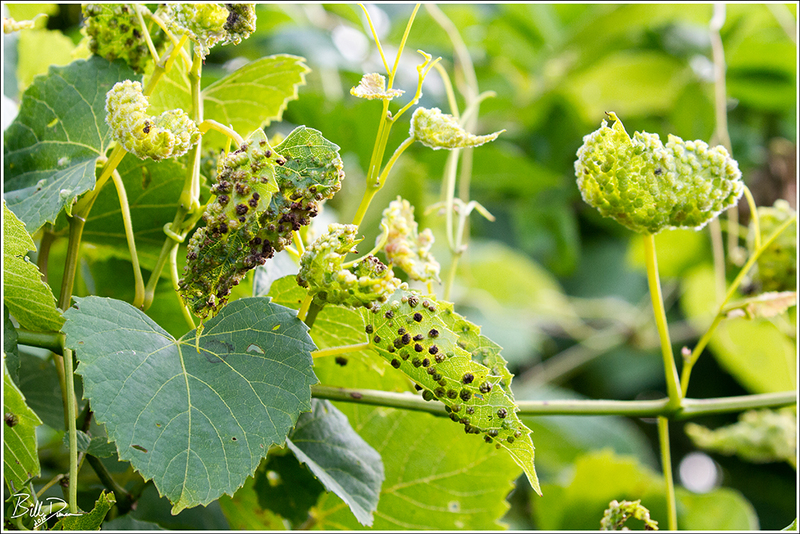 Grape Phylloxera is caused by an aphid-like insect and is a parasite to native grapes. In the mid-1800s this species was accidentally released in Europe and nearly destroyed the French wine industry. The life cycle of this insect and its relationship to its host is mind-boggling. As many as 18 different life stages have been identified – from sexual to asexual, winged, foliage feeding to root feeding. This complexity, as with so many other multi-stage, specific host-parasite relationships creates major problems in man’s attempt at developing commercial controls. To date, this parasite cannot be controlled with any pesticide solution; the only remedy is still resistant stock that nature has developed in this host-parasite arms race. FASCINATING!!! Excellent post, sir. Hoping for more.